Amidst the chaos and violence in the Middle East there is one component of our foreign policy that is glaring and ignored. We have launched a policy of sacrifice of our money, our soldiers lives and our diplomatic corps and reaped the expected results. We have invaded in the name of altruism and received hatred, insults, lies and destruction. In the name of giving liberty and democracy we have only brought misery on ourselves and those we were going to “liberate. If there ever was a time for a reevaluation of our foreign policy why would now not be the time? The premises behind our foreign policy since the end of WWII has consisted of half fought wars ending in stalemates at best, billions of dollars wasted on corruption, a hatred of our status and power in the world and belligerent saber rattling by every tin horn dictator on the planet. What are these premises and how do we reexamine them and change them? The first premise that must be reevaluated is the notion that other countries interests are more important than our own. If people are living in poverty and oppression and show no signs of wishing to throw off the yoke they are under, is it in our interest to sacrifice our money and soldiers lives for their welfare? The question of course is,” Why should we?” Only the false morality of altruism justifies such self destructive action. Yet this is the predominant “morality ‘ of most of our political leaders. Why else do we see the reluctance of our politicians to stop foreign aid to countries killing our diplomats, burning our embassies and killing our soldiers? It isn’t because we are thinking foremost of the welfare of our taxpayers, the lives of our soldiers and diplomats or the investments in embassies we have incurred. The second premise that must be reevaluated is the notion that our diplomatic corps is simply an organization to engage in globe trotting, passing out money in bribes and trying to sooth the feelings of barbaric dictators and governments that con us at every encounter. Congress has been asleep at the switch when it comes to funding diplomatic activity and allowing spending on anything that is requested to pass without a shout of outrage and rejection. 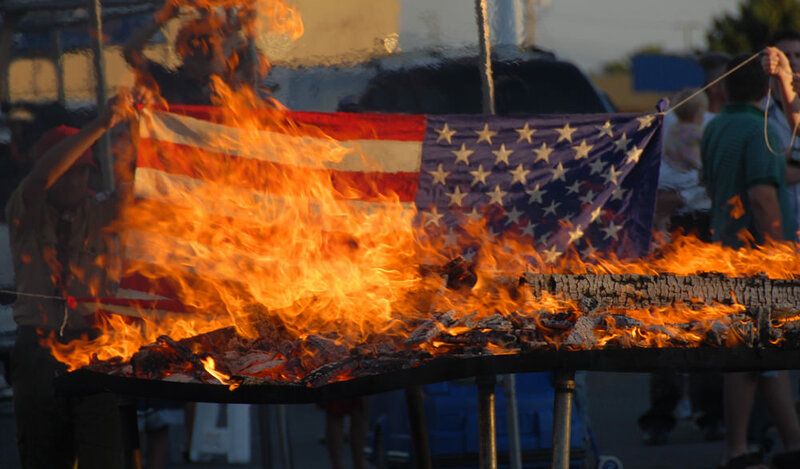 Only a premise of sacrifice can perpetuate such ignorance and unwillingness to recognize American interests. The third premise is the short term idea that all that matters is having political power. Political power is only effective if it is used to protect individual rights. Any other use of political power is for the destruction of the protection of individual rights. Since we are talking about America and our government was created to protect individual rights of our citizens any action that violates these rights either in the name of foreign intervention or domestic confiscation is not in the interest of the United States and its citizens. Rejection of the premises that brought us to this ongoing crisis is the first step that will reverse this debacle. But it is not enough to simply reject the wrong but to identify and install the right premises. What premises are required for our political leaders to accept and act upon to establish and maintain a proper foreign policy? The first premise is simply putting America first. This means whenever there is a need for a a relationship with a foreign country we need to examine their constitution, their history and their veracity. If they do not protect individual rights they should not be considered viable trading partners or allies. If they are not in agreement with our values we cannot cosy up to them as if our values were unimportant. We should not trade with countries that impose slave labor, hold political prisoners, denounce our country or way of life and never establish embassies where they can be razed by unstable governments. The second premise is to insure that in any negotiations we first of all stand up for our values and never sacrifice a value for a lessor expediency. This means we do not shore up the military of a country that has not earned our respect and accepts the principle of protecting individual rights. There should never be any doubt that we are not in the business of giving away the store. This also means we will not support any uprising that does not explicitly agree with our values. We should not be in the business of overthrowing one dictatorship and replacing it with another. The third premise is all political office seekers be well grounded in the purpose of government. This means confiscation is recognized as a violation of individual rights and therefore contrary to the proper formation and maintenance of government. We cannot have our political leaders making “deals” to enrich themselves or their cohorts or foreign entities. The establishment of this premise must come from our institutions of learning, our schools , colleges and universities. Classes in the proper role and function of government should be a prerequisite for anyone wishing to pursue a political office. There are requirements for practically every occupation except politicians and that lack is most evident with the mess in financial and foreign affairs we are seeing today. Continuing our current policies is obviously self destructive and will only get worse. It requires a radical change in our thinking and actions. We will not get out of debt or have a viable economy or live peaceably in this world by continuing on the road we are traveling. We need to change course and we need to reject the ideas and actions of the leaders who claim they have answers and make contradictory promises they could never fulfill. This requires demanding a coherent explanation of why sacrifice is such an overwhelming ingredient in our foreign policy, what can justify it and what will be done to reject it in favor of a foreign policy based on America’s self interest. Naming an issue is the first step in solving a problem. We have not reached that stage yet which shows how far we still have to go. Hillary Clinton: Patron Saint of Syrian Refugees (Political Cartoon)Shock News: Man Who Served Lawsuit on the DNC Now Dead!